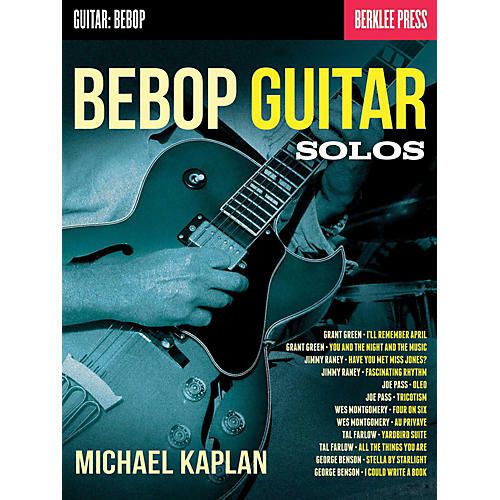 Learn twelve classic bebop guitar solos from six of the greatest bebop artists. Each solo includes a technical introduction with analytical insights and references to its classic recording. The transcribed solos include: All the Things You Are (Tal Farlow) ¢ Four on Six (Wes Montgomery) ¢ Have You Met Miss Jones? (Jimmy Raney) ¢ I'll Remember April (Grant Green) ¢ Oleo (Joe Pass) ¢ Stella by Starlight (George Benson) ¢ and more. Includes standard notation and tablature.